Cushman & Wakefield released Tech Cities 2.0, an annual report that identifies existing and emerging tech centers increasingly driving the North American economy and details their impact on the commercial real estate sector. In its second year, the Tech Cities 2.0 report, reviewed all major North American markets, and groups the top cities into three categories based on how important the tech sector is to the local economy and real estate market: ‘tech is a critical component’ / ‘tech is a key driver’ / ‘tech is important’. Among the categories, Denver finds itself in the ‘tech is a key driver’ category. Tech has infiltrated every submarket in the Denver metro area. While Boulder remains the epicenter for tech occupiers, Denver’s CBD has witnessed an influx of tech occupiers such as Facebook, Amazon, Apple, Marketo and Slack Technologies recently. “Even with the recent increase in tech employment, we are expecting continued outsize growth in this sector for the next few years,” Steve Schwab, Managing Principal for Cushman & Wakefield in Colorado, said. Largely driven by the extensive and accessible mass transit options located in the heart of downtown Denver, occupiers have continued to utilize the CBD’s central location as an asset to recruit and retain talent. 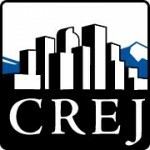 Coupled with the highly educated millennial workforce that resides predominately in the urban core, it is no surprise that tech companies have found that the CBD provides benefits that other Denver metro locations do not.